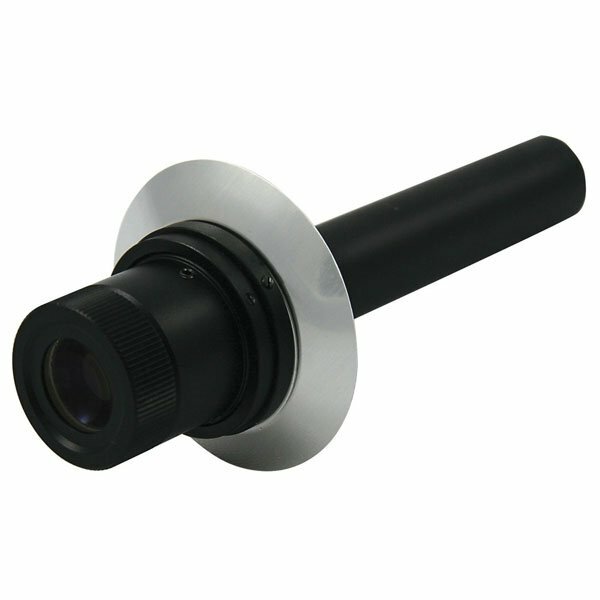 This useful accessory speeds accurate polar alignment by providing a means of visually aligning your German equatorial mount with Polaris and true North. As a result, you can spend more time observing and less time setting up. The finderscope has an easy to use cross hair reticle. For use with CG-4 (Omni) mounts. Please note: It is very common to have a few or many teeny-tiny dots or dust particles on the reticle glass in this and other Celestron polar finders. These are not made to the same optical standards as eyepieces and other accessories. However, these wil have no practical impact on the operation and use of this accessory, and they will barely be visible in the dark, if at all. What we sell is a new, authorized Celestron product but please do not purchase this item if you are not comfortable with this issue. 5.0 Nice addition to CG-4 mount! This is a nice addition to the CG-4 mount. Installation was fairly straight-forward. Remove the older polar mount assembly with set screws by twisting it counter-clockwise. The new polar finder replaces the old mount, threading clockwise and is aligned on a distant object during the day. The unit comes with instructions and there are several posts online discussing alignment procedures. Agena packed the finder well and there was no damage. Overall, I'm very satisfied with the product and Agena's pricing. Review by Photoguy of Lehigh Valley PA.
A low-cost add on for CG-4 mounts. Recommended. I use this polar scope to polar align for wide field AP. But I would still purchase even if I only visually observed; I just want to be as accurate as possible, without having to correct for DEC error during extended planetary viewing. The alignment reticle is super easy to use, even in dark skies, by illuminating the front of the polar scope at an angle. Review by cystokid of Boyne City, MI. Review by Patcro of Las Cruces, NM. This inexpensive polar alignment scope does the job it is supposed to do. A good polar alignment, even for detailed astrophotography, does not require an expensive (read: big name) scope. Remember, it ain't the arrow, it's the archer that counts.